Celebrated garagistes Corcelettes Estate Winery in the Similkameen Valley have graduated and are on their way to becoming a larger production winery with the recently announced acquisition of the Herder Winery and Vineyards. Corcelettes also has a new ownership team which will now include Charlie Baessler, his partner Jesce Walker, Charlie’s parents Urs and Barbara, and their new partners, Gord and Diane Peters, long-time friends of the Baessler family. The tasting room and production is all planned to take place at the former Herder location on Upper Bench Road. Located next door to Clos du Soleil, down the road from the historic Grist Mill, and around the corner from Robin Ridge, Corcelettes will be ideally situated for wine tours and offer a spectacular views among other innovative experiences. With Clos du Soleil’s new building that is scheduled to open in 2015, that area of Upper Bench Road looks like it will become the hot spot for wineries in the Similkameen. In any case, this is an exciting new development in the Similkameen winery scene and one that I will be closely following as it progresses. 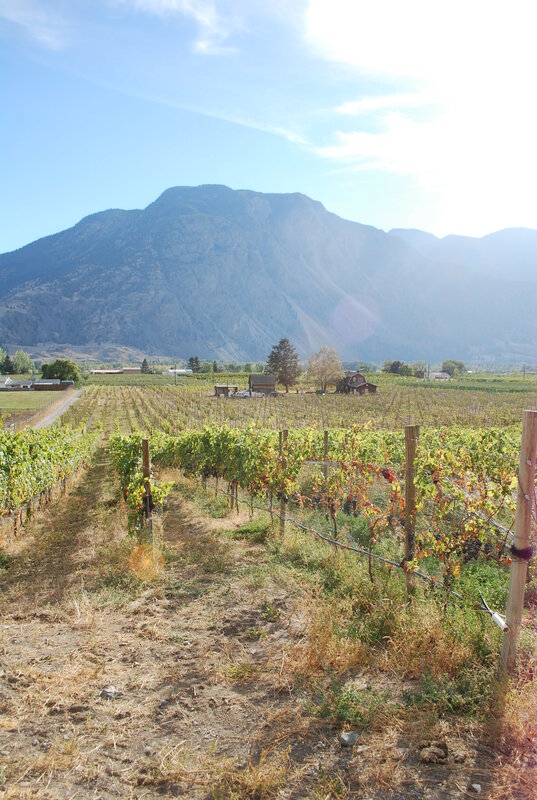 However it develops, put Upper Bench Road in the Similkameen on the itinerary for your next wine tour. Past articles and podcasts on the Similkameen Valley. Until then, here’s a video that I shot at last year’s BBQ King. Ok, you’ll know from my podcast last year how much I love going to this event. I go to a lot of them and I had so much fun at this particular one held at the Grist Mill near Keremeos – a historical property and camp ground that is an experience on its own. 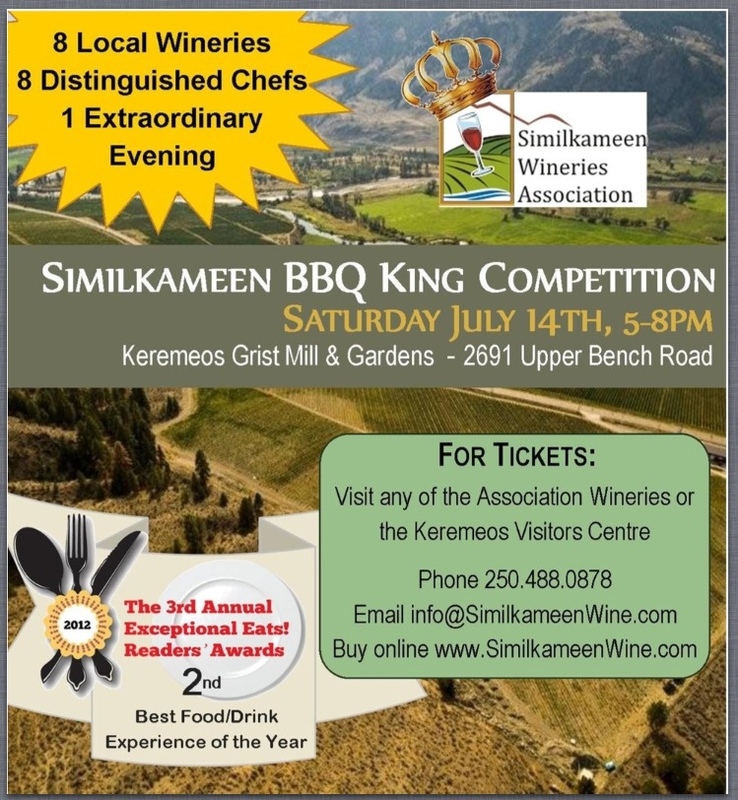 And the Similkameen Wineries Association has come of up with some amazing ways of promoting one of the most unique wine growing regions in BC. Speaking of creativity. While the Spring and Summer Winer Festivals have their more traditional in-door events (tastings, panels, dinners, and gatherings), the Summer Festival is really starting to get wineries and their associations to think outside the wine case a little more. For me, this makes it one of the more exciting of the wine festivals and something to start planning your vacations around. I hope you’re able to check out some of these events soon.